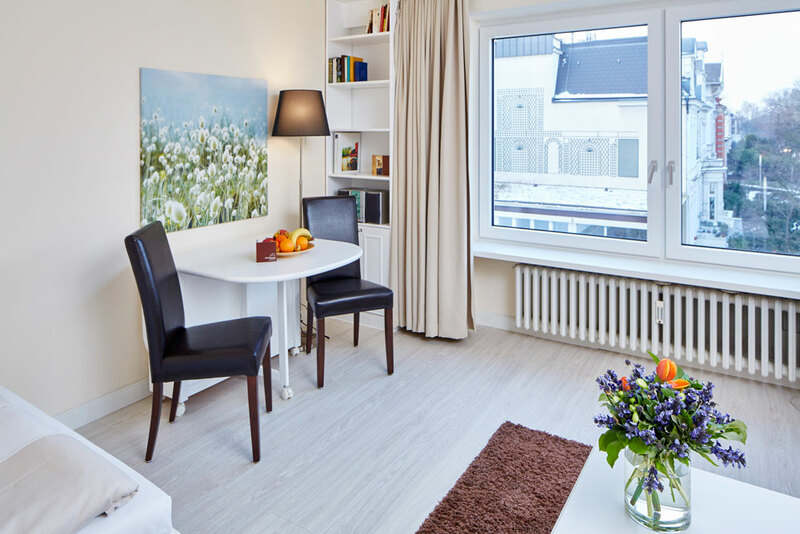 You will find the sun-drenched Oberhouse Apartments in the best location of the beautiful Harvestehude, in the immediate vicinity of the Außenalster. Harvestehude is one of the most popular residential areas due to its ideal location on the Außenalster. Quiet residential streets with proximity to the city, spacious old buildings and greenery characterise the setting as well as exclusive and individual shopping facilities. On the doorstep of Harvestehude the Alstervorland offers a glimpse of nature in the middle of the city. The park-like green area enjoys great popularity with walkers, sun-seekers, joggers and cyclists. 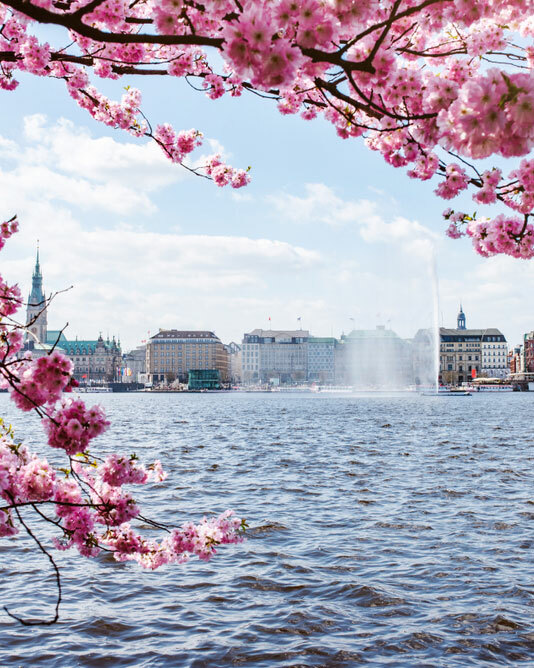 Cafés with views of the Alster invite you to linger. 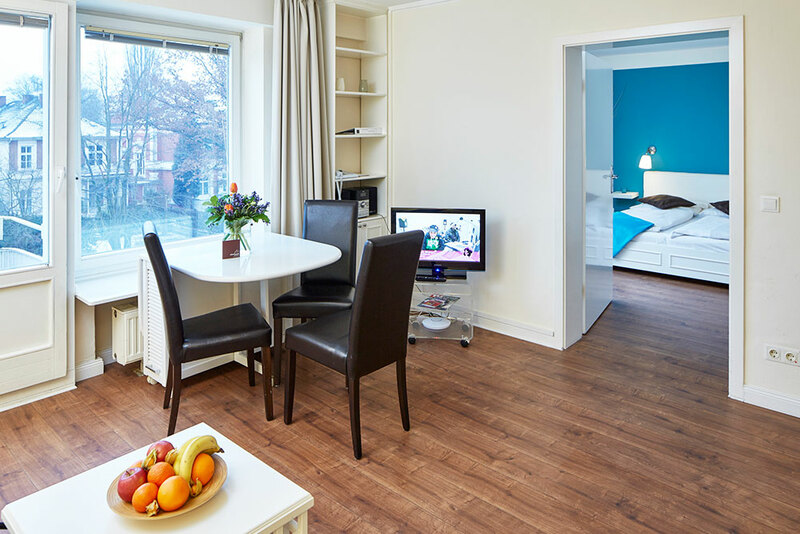 From the Oberhouse Apartment it is only a few minutes walk to the Alster. 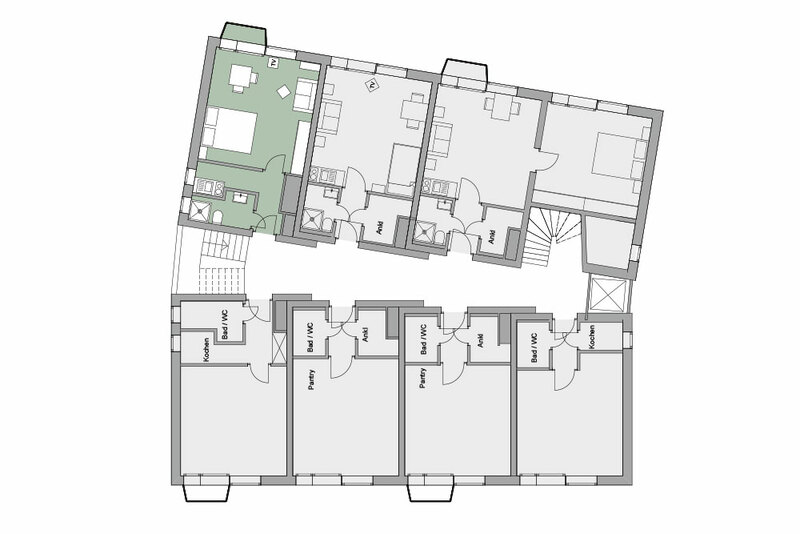 The apartment building is an ideal base for a shopping trip or visiting nearby exciting restaurants and bars. 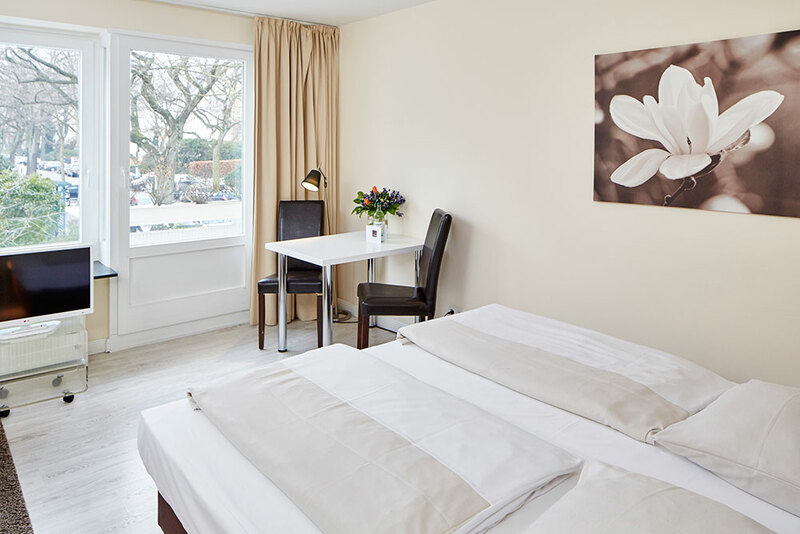 With excellent access to public transport, you are in the city centre of Hamburg in just a few minutes. Lovingly furnished with a keen sense for style and comfort, these apartments provide you with an ideal retreat after a busy day. 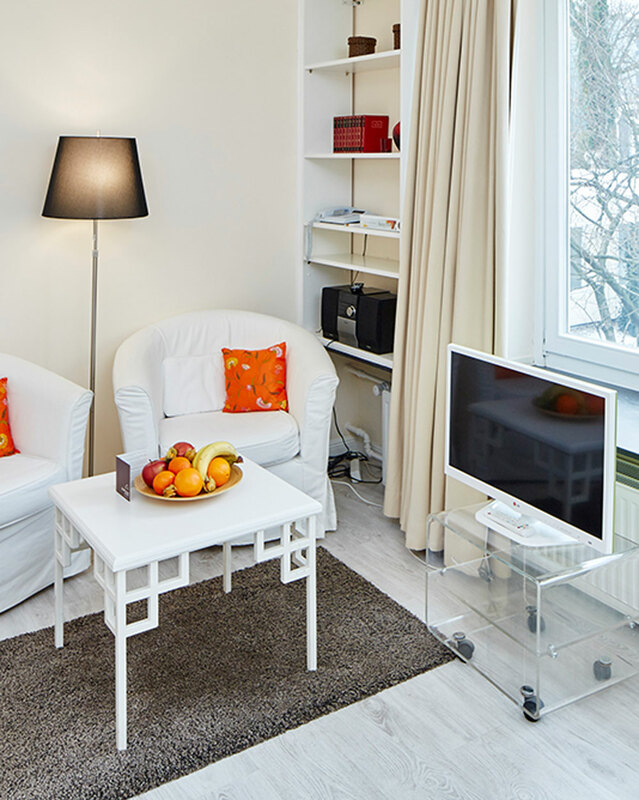 Your new home from home is equipped with every possible comfort and many amenities for you. 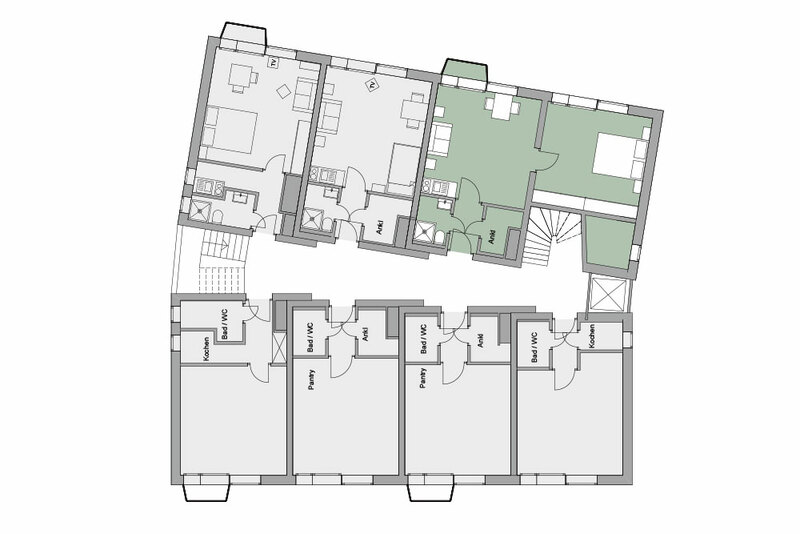 Integrated pantry kitchen with fridge, cooking rings, glasses, cookware and crockery, coffee machine, kettle, toaster etc. Are you interested? 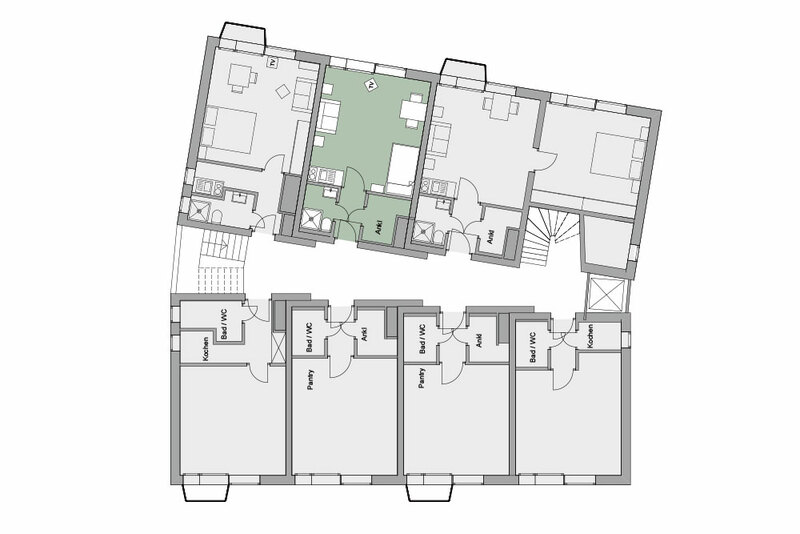 The application for our apartments is very simple! 1. Please use the contact form below to send an enquiry or call us +49 40 41333900. 2. Complete the Tenant Self-disclosure in full. 3. 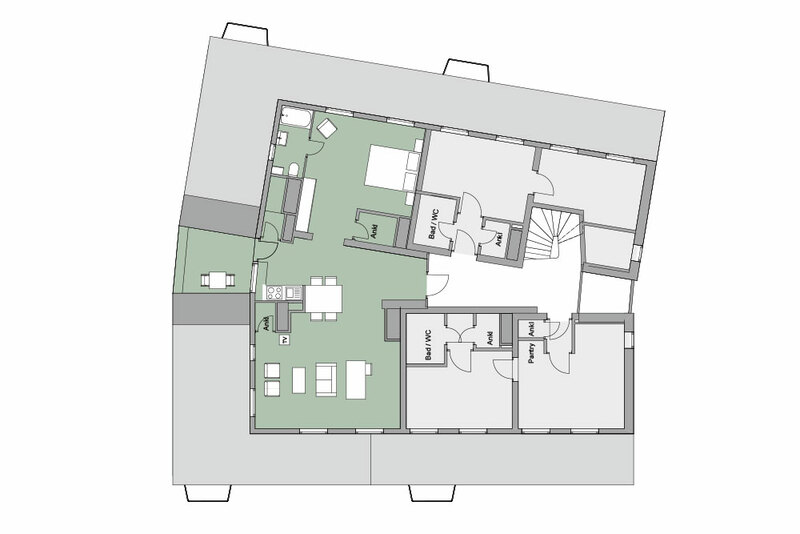 At the same time we will check the availability of your desired apartment category. 4. You will receive the rental agreement and pay the rent deposit before the rent starts. 5. Done! The handover of the apartment is then by appointment. For the conclusion of the rental contract, only one deposit is required – there is no brokerage or commission if you enquire directly via us. Please note that there is a minimum rental period of 3 months. I confirm that I agree to the minimum rental period of 3 months.